Halloween should be a spooky time for kids - but fun spooky, not dangerous spooky. 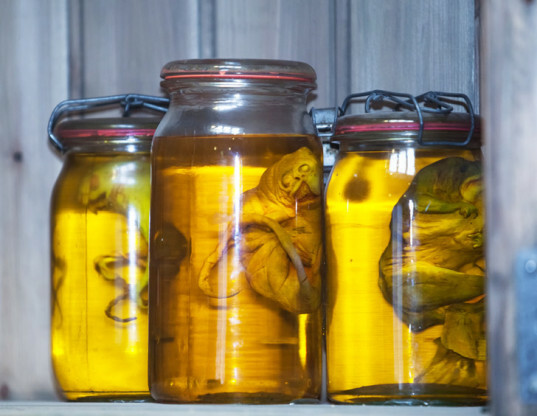 Ghost stories, monster costumes, creepy decor and haunting treats are one thing, but scary toxins are another issue entirely. Kids today are exposed to far too many dangerous substances. This Halloween, and all year round, keep your little ones safe by avoiding the following frightening chemicals and toxins that may harm your children. Get your home tested for lead, especially if your home was built before 1978. Get your child tested for lead. Doctors can run an easy lead test on your child. Choose eco-friendly toys and lead-free play jewelry. Avoid play make-up for kids that contains lead. Discourage your child from chewing on stuff like window ledges and other painted products. Serve meals rich in iron and calcium, which will make you less susceptible to lead absorption. Use a water filter to reduce lead in drinking water. Avoid children’s food items that may contain unsafe levels of lead. 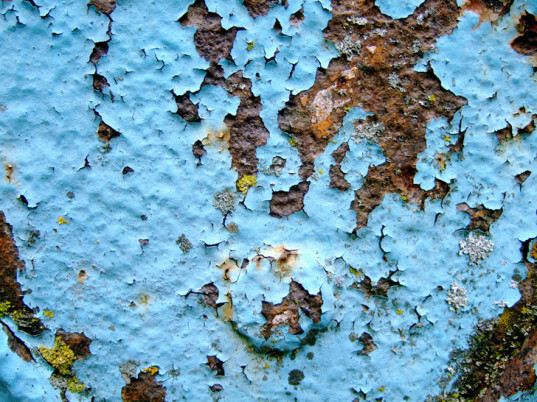 Mold seems natural enough, but it is an official home pollutant. It’s most common in wet climates, but can infest homes in dryer climates as well. Both children and adults can become very sick if exposed to mold in the home. Molds are known to cause allergic reactions in sensitive individuals, including sneezing, runny nose, red eyes, and skin rash. Molds can also cause asthma attacks and irritate the eyes, skin, nose, throat, and lungs of people without other allergies. Once mold has started growing, it’s scary hard to get rid of. You don’t want mold to set up camp, because then we’re talking gross bleach or expensive professionals to get rid of it. The best defense against mold is to stop it before it starts, or gets out of control. This means cleaning walls and windows frames regularly with non-toxic cleaners, and be sure to dry the areas after cleaning them. 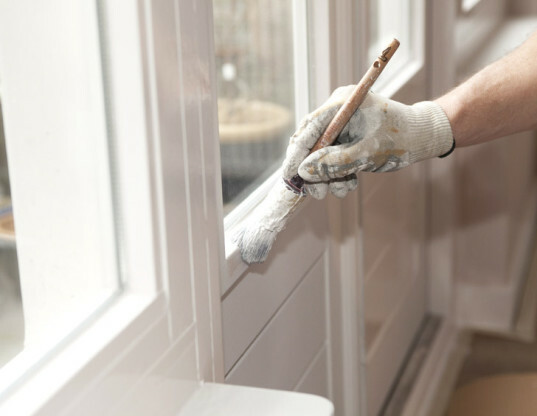 If you live in a wet area, simply leaving windows open more often can fight off mold. Also, don’t place furniture right up against the wall, as it encourages mold growth. If your home experiences a water issue, i.e. like a basement or under the sink leak, fix it right away so mold doesn’t develop. Formaldehyde is a colorless, but pungent-smelling gas used in all sorts of home products. This chemical has been linked to numerous health problems, such as watery eyes, burning sensations in the eyes and throat, nausea, and breathing difficulty, plus research shows that it for sure causes cancer in animals and may cause cancer in humans. Sources of formaldehyde exposure that can occur in the home include home building materials, cigarette smoke, household products (mainly furniture), and the use of un-vented, fuel-burning appliances, like gas stoves or kerosene space heaters. Formaldehyde is most often found in pressed wood products made using adhesives that contain urea-formaldehyde (UF) resins, and many of these products are made just for kids. For example, many pieces of children’s furniture, dollhouses and play kitchen sets are made with formaldehyde. To avoid formaldehyde, purchase real wood furniture and toys versus pressed-wood products. Real wood can be expensive, but you can also inexpensively refinish old pieces of furniture. Of course, never ever allow smoking inside your home, and if you must bring formaldehyde products indoors, be sure to increase home ventilation. Also buy eco-friendly children’s bath products, as many conventional products contain hazardous stuff, including formaldehyde. Radon is extremely dangerous, and is not talked about enough. It is associated with more deaths annually than any other in-home hazard, including house fires, carbon monoxide poisoning, drowning, poisoning, falls and even guns. 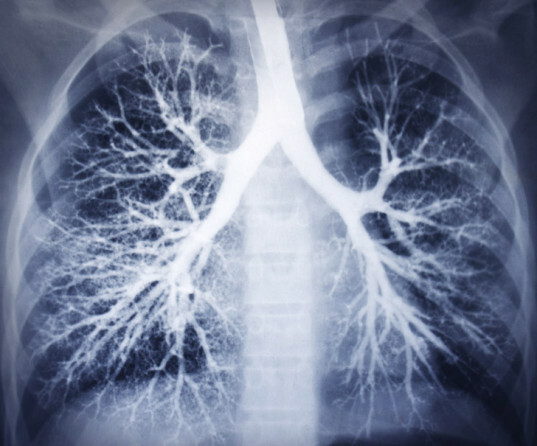 Radon is also the number one leading cause of lung cancer for non-smokers and the second leading cause for smokers. In total, the World Health Organization reports that radon is responsible for approximately 20,000 deaths annually in the U.S. and 100,000 deaths worldwide. Luckily, there’s plenty you can do to protect your family from this deadly home pollutant. Volatile organic compounds (VOCs) are dangerous gases that are emitted from thousands of commonly used solids and liquids, such as paints and lacquers, paint strippers, cleaning supplies, pesticides, building materials and furnishings, copiers, printers, correction fluids and carbonless copy paper, graphics and craft materials including glues and adhesives, kids art supplies, permanent markers and photographic solutions. When VOC-packed substances are used in your home, they break down quickly and evaporate around your home, lingering around causing various short and long-term adverse health problems. VOCs are much more common inside your home than outside of your home. In fact, the EPA notes that indoor concentrations of VOCs are as much as ten times higher than outdoor concentrations. You can cut down on VOC exposure by using low VOC paint on walls and furniture in your baby’s nursery and other child-minded spaces, avoid wearing shoes in your home, and use all-natural, non-toxic cleaning supplies. Carbon monoxide (CO) is a very dangerous, deadly pollutant because even if it’s in your home, you can’t see, smell or taste it. CO simply lurks and can cause sickness and even death. According to the U.S. Consumer Product Safety Commission (CPSC), about 170 people in the United States die every year from CO exposure and many more will get sick. At first, CO poisoning causes headache, fatigue and nausea. At sustained high CO concentration levels people start to experience disorientation, unconsciousness and death becomes possible. 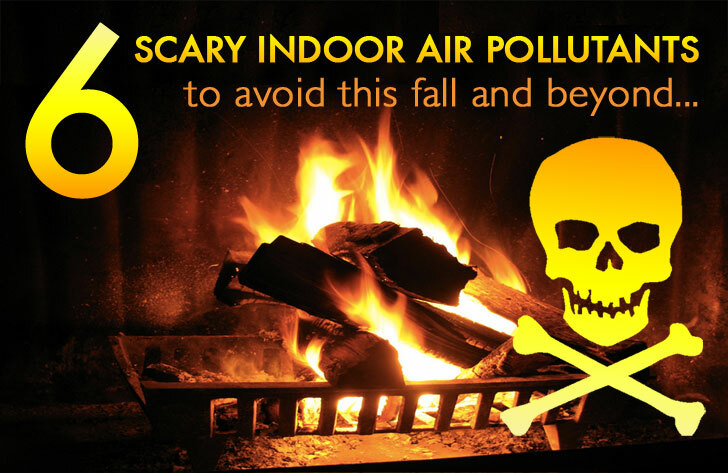 To avoid CO exposure you can make sure your home gas appliances are properly adjusted, use proper fuel in kerosene space heaters, use an exhaust fan vented to outdoors over gas stoves and open flues when fireplaces are in use. However, the best, and really only way to keep your family 100% safe from CO is to install a simple CO detector and monitor. 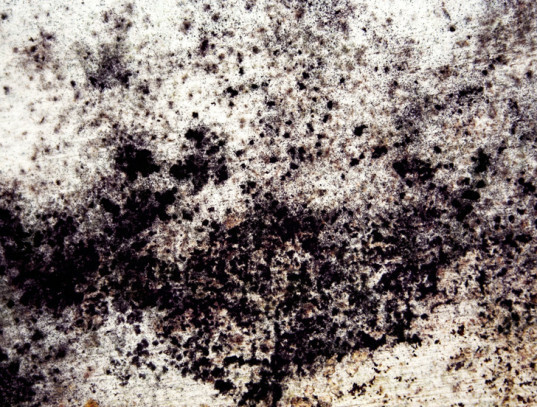 Mold seems natural enough, but mold is an official home pollutant. Mold is most common in wet climates, but can infest homes in dryer climates as well. Both children and adults can become very sick if exposed to mold in the home. Molds are known to cause allergic reactions in sensitive individuals, including sneezing, runny nose, red eyes, and skin rash. Molds can also cause asthma attacks and irritate the eyes, skin, nose, throat, and lungs of people without other allergies. Once mold has started growing, it's scary hard to get rid of. You don't want mold to set up camp, because then we're talking gross bleach or expensive professionals to get rid of it. The best defense against mold is to stop it before it starts, or gets out of control. This means cleaning walls and windows frames regularly with non-toxic cleaners, and be sure to dry the areas after cleaning them. If you live in a wet area, don't place furniture right up against the wall, as it encourages mold growth. If your home experiences a water issue, i.e. like a basement or under the sink leak, fix it right away so mold doesn't develop. Formaldehyde is a colorless, but pungent-smelling gas used in all sorts of home products. Formaldehyde has been linked to numerous health problems, such as watery eyes, burning sensations in the eyes and throat, nausea, and breathing difficulty, plus research shows that it for sure causes cancer in animals and may cause cancer in humans. Sources of formaldehyde exposure that can occur in the home include home building materials, cigarette smoke, household products (mainly furniture), and the use of un-vented, fuel-burning appliances, like gas stoves or kerosene space heaters. Formaldehyde is most often found in pressed wood products made using adhesives that contain urea-formaldehyde (UF) resins, and many of these products are made just for kids. For example, many pieces of children's furniture, dollhouses and play kitchen sets are made with formaldehyde. To avoid formaldehyde purchase real wood furniture and toys vs. pressed-wood products. Real wood can be expensive, but you can also inexpensively refinish old pieces of furniture. 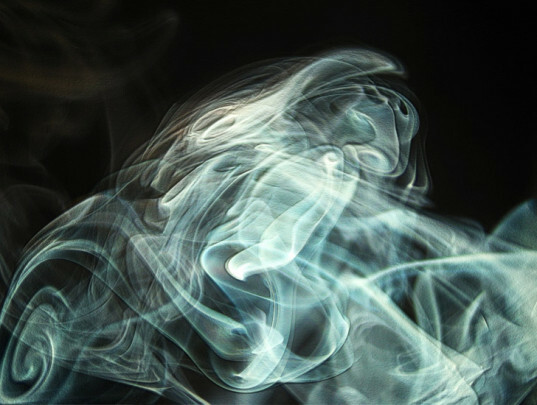 Of course, never ever allow smoking inside your home, and if you must bring formaldehyde products indoors, be sure to increase home ventilation. Also buy eco-friendly children's bath products, as many conventional products contain hazardous stuff, including formaldehyde. Radon is extremely dangerous, and is not talked about enough. Radon is associated with more deaths annually than any other in-home hazard, including house fires, carbon monoxide poisoning, drowning, poisoning, falls and even guns. Radon is also the number one leading cause of lung cancer for non-smokers and the second leading cause for smokers. In total, the World Health Organization reports that radon is responsible for approximately 20,000 deaths annually in the U.S. and 100,000 deaths worldwide. Luckily, there's plenty you can do to protect your family from this deadly home pollutant. Carbon monoxide (CO) is a very dangerous, deadly pollutant because even if it's in your home, you can’t see, smell or taste it. CO simply lurks and can cause sickness and even death. According to the U.S. Consumer Product Safety Commission (CPSC), about 170 people in the United States die every year from CO exposure and many more will get sick. At first, CO poisoning causes headache, fatigue and nausea. At sustained high CO concentration levels people start to experience disorientation, unconsciousness and death becomes possible. To avoid CO exposure you can make sure your home gas appliances are properly adjusted, use proper fuel in kerosene space heaters, use an exhaust fan vented to outdoors over gas stoves and open flues when fireplaces are in use. However, the best, and really only way to keep your family 100% safe from CO is to install a simple CO detector and monitor. Lead image ©greschoj via sxc.